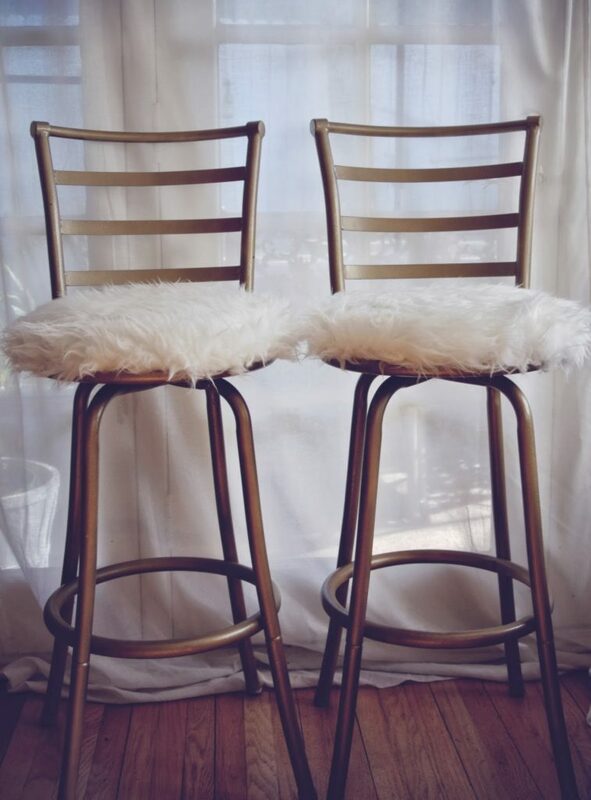 Bar stools have been around for a while and they look dashing when you use them in your home! 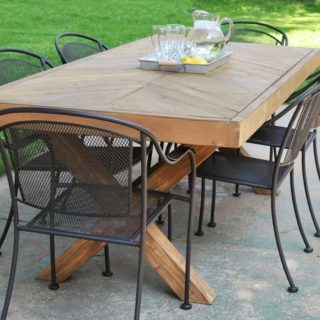 They are an amazing way to spice up your kitchen and give it some vintage or industrial vibes. 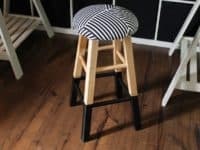 Maybe you can get your hands on an old, thrifted bar stool that needs some touch-up or maybe you’d like to build one from scratch. Either way, we’ve got you covered! 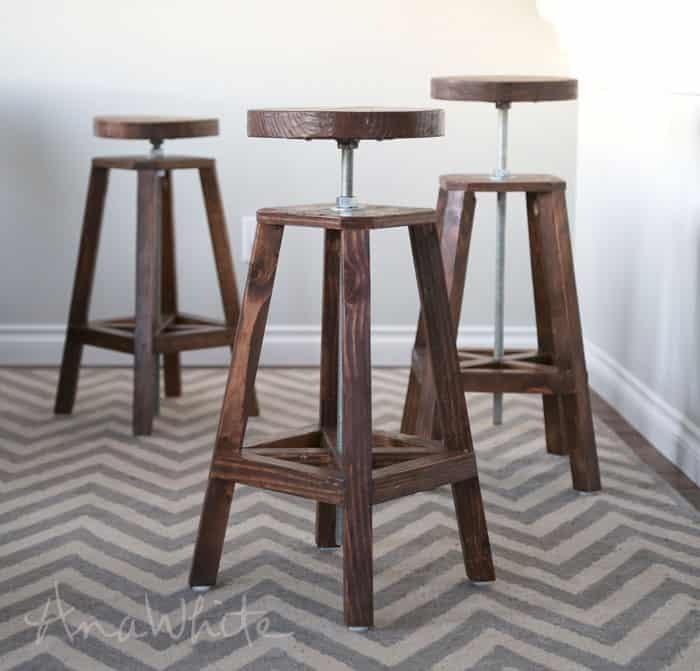 Check out this amazing roundup of DIY bar stools and find what you need! 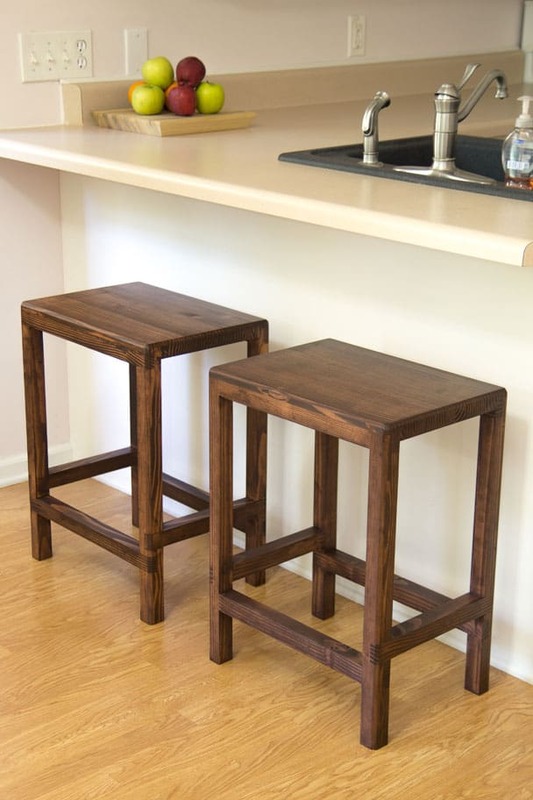 Starting out with something simple that will appeal to those who like a clean, minimalistic kitchen. 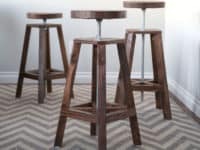 These wooden half lap bar stools we found at Jay’s Custom Creations keep it classy, but still add a special touch to the entire room. 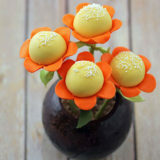 You’ll appreciate them every day, as you’re eating breakfast on the kitchen counter! 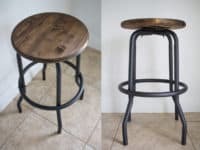 If your home already carries the elements of industrial décor, this bar stool will fit right in, but if it doesn’t, the stool will finally add some industrial vibes to it! 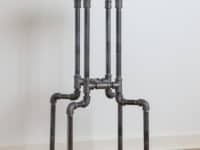 The pipes are certainly serving its purpose by offering a firm support and a trendy look. 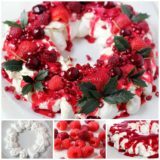 Find out more at YBC! 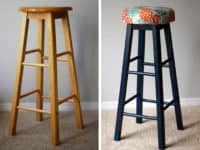 The before and after of this makeover are so different it’s almost hard to believe we’re looking at the same bar stool! 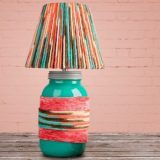 A Crafted Passion proves that we can all breathe new, colorful life into old, plain things – if only we have some paint and fabric at hand! 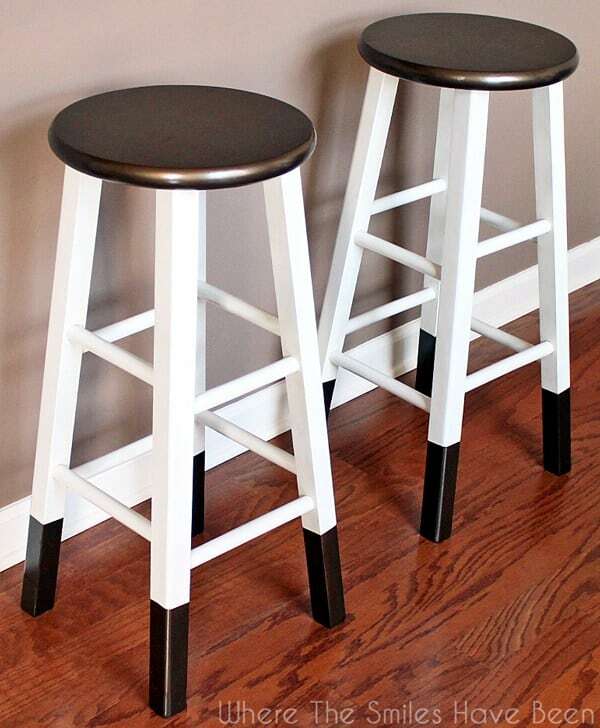 That awkward moment when you buy a stool and it’s not the right height. Or it only fits you, but not your spouse. 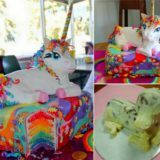 Or it’s too high for your children. You know the feeling? 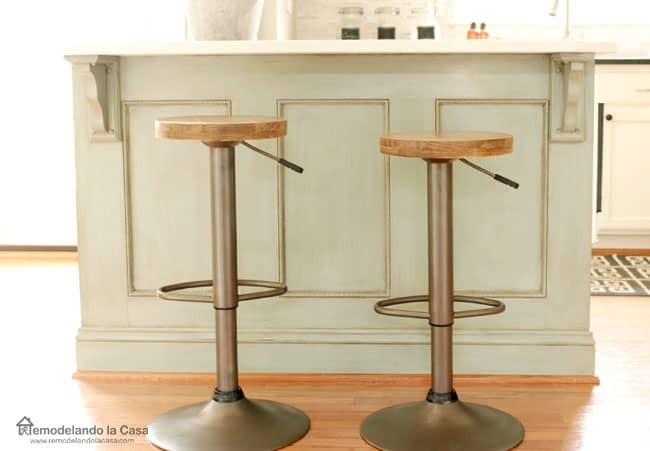 With this adjustable bar stools by Ana White you won’t have to worry about any of that anymore! Rejoice! 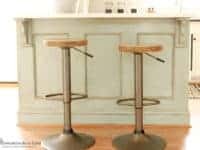 And since we’re already speaking of Ana White, the ultimate DIY queen, we can’t overlook her counter-high bar stools either! 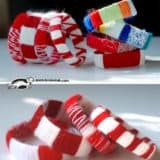 They have a simpler look to them, very elegant and modern. 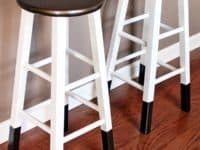 If you always accidentally lean back on a bar stool, you now don’t have to worry about falling over! 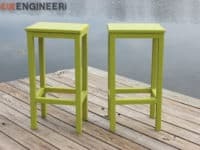 If there ever was a pair of chic looking bar stool twins, this is it! 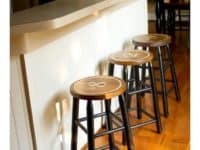 These capture the traditional look of bar stools and we just love how Remodelando La Casa made them look rustic and industrial! 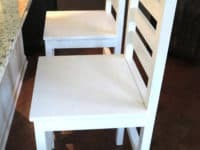 It was definitely the right choice and it might be for your home as well! 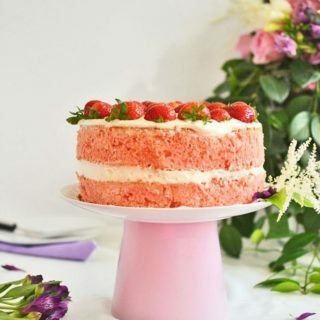 One can never go wrong with vintage! 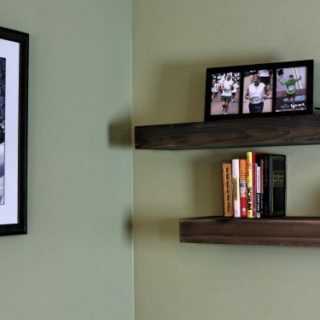 Even if you have the most modern house imaginable, it’s that one vintage piece you own that really gives it a feeling of home. 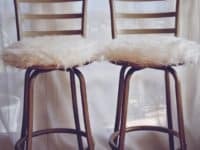 If you haven’t found one yet, how about these vintage bar stools by The DIY Village? 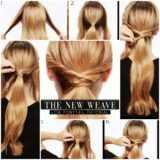 They are absolutely marvelous and you won’t regret them! 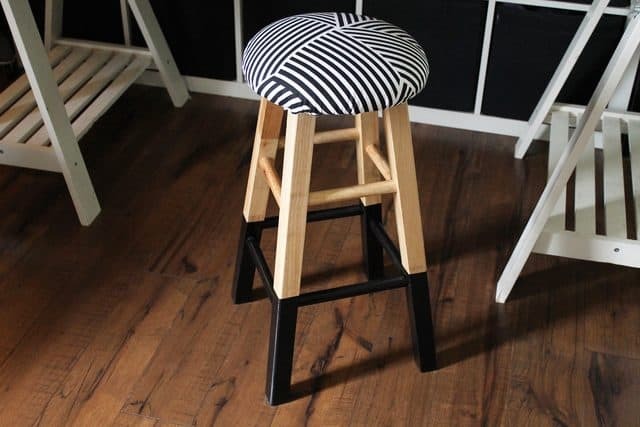 A bar stool fit for a princess – or just a reasonable person who likes some cush under their tush. 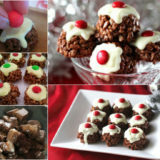 These are definitely special! 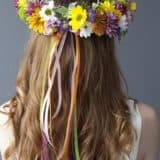 Their unique look will appeal to anyone who lays eyes on them, so head over to The Free Bird and soon this fluffy perfection will be a part of your home! 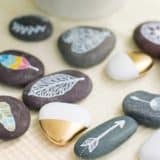 How to make something look more sophisticated, you ask? 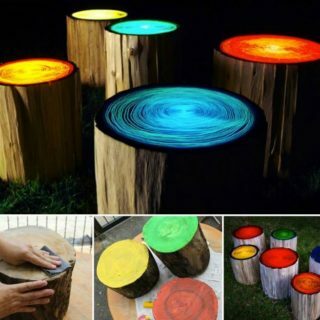 Dip it into bronze! This project by Where the Smiles Have Been confirms the theory that bronze has the power to transform your furniture from messy to classy! 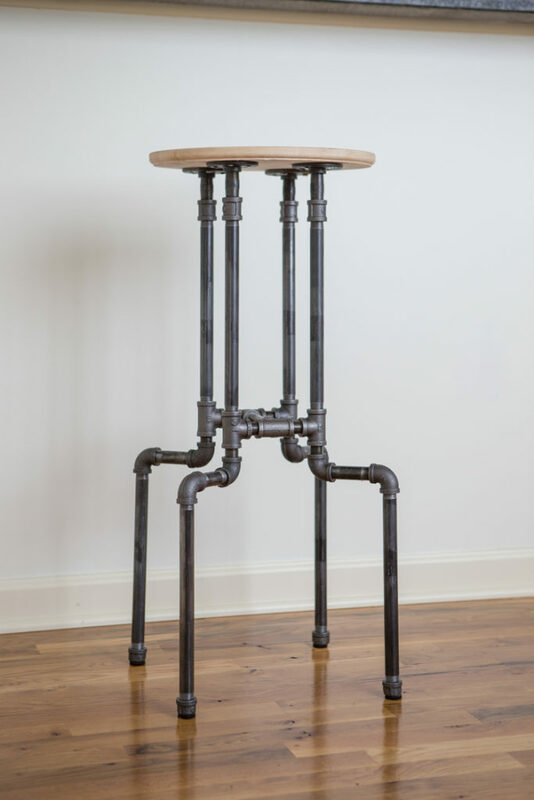 Another industrial bar stool because quite frankly, we can’t get enough of them! 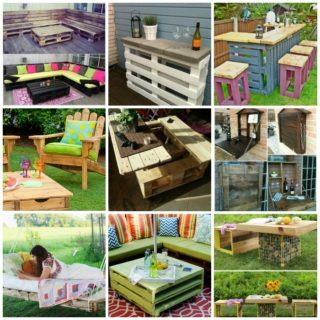 This could be your next DIY project that results in some fantastic stools and a visually appealing kitchen! 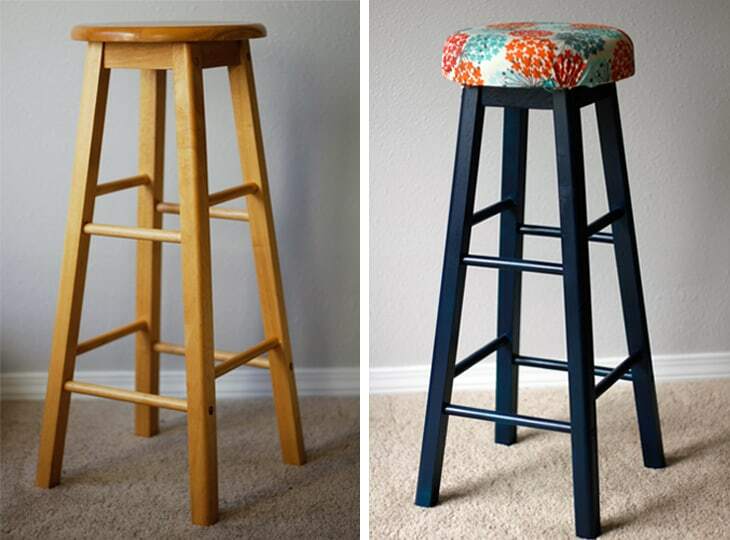 Crafted to Crate will tell you step-by-step how you can turn even the most outdated bar stool into this beauty! 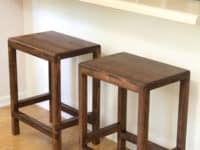 If you want something that looks youthful, but not too over the top, these wooden bar stools are the project you’ll want to go with! 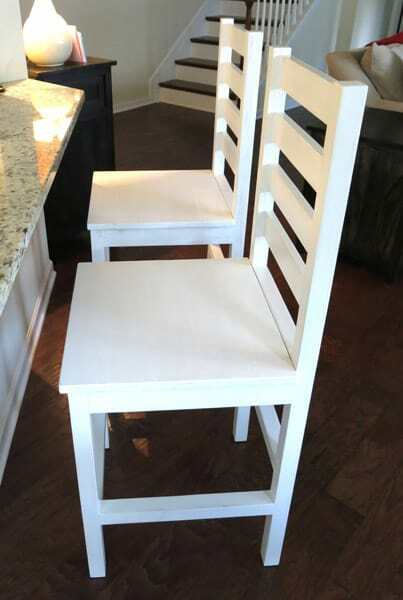 Your little children will be ever so eager to climb up on them and feel like they’re on top of the world! 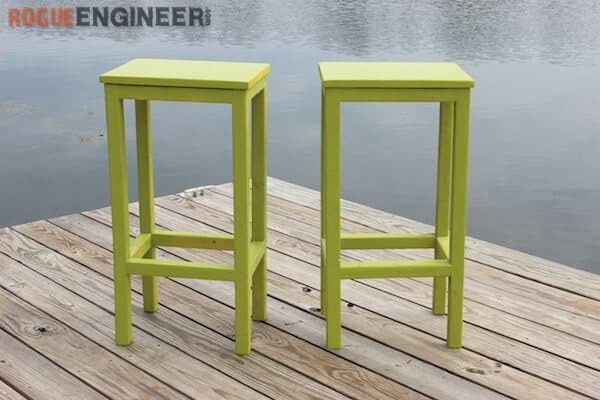 See the instructions at Rogue Engineer! 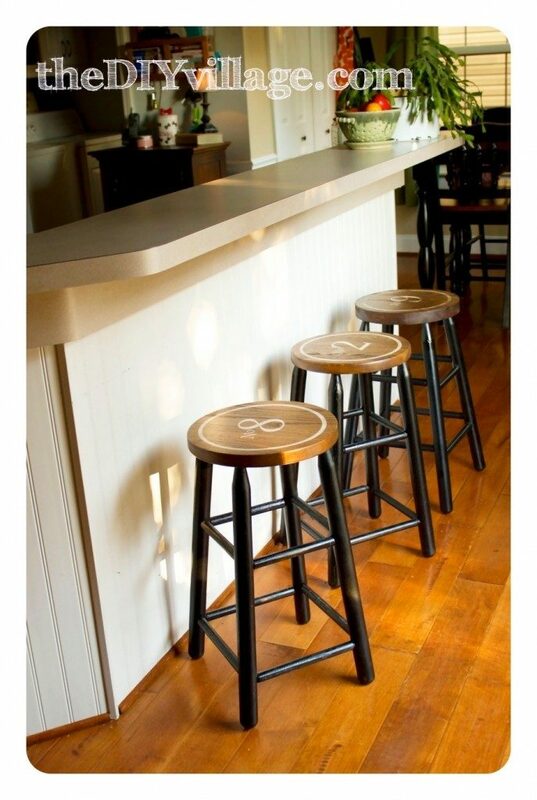 It doesn’t take much to make a posh looking bar stool! 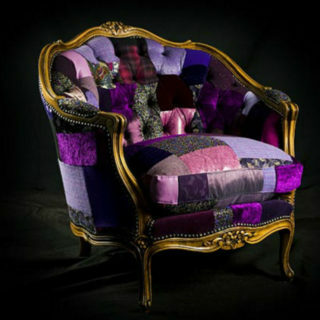 It helps if it’s upholstered, as this tutorial by eHow so perfectly demonstrates! 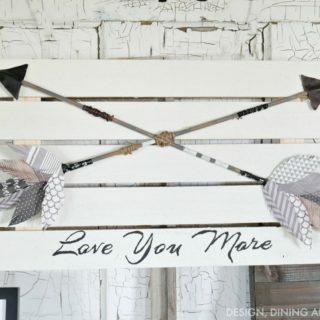 You can pick a color pallet of your choice, but one thing’s for sure: with black and white, success is guaranteed!